In 16th century Spain, the sargento mayor ("sergeant major") was a general officer. He commanded an army's infantry, and ranked about third in the army's command structure; he also acted as a sort of chief of staff to the army's commander. In the 17th century, sergeant majors appeared in individual regiments. These were field officers, third in command of their regiments (after their colonels and lieutenant colonels), with a role similar to the older, army-level sergeant majors (although obviously on a smaller scale). The older position became known as "sergeant major general" to distinguish it. Over time, the term sergeant was dropped from both titles, giving rise to the modern ranks of major and major general. The full title of sergeant major fell out of use until the latter part of the 18th century, when it began to be applied to the senior non-commissioned officer of an infantry battalion or cavalry regiment. It is about this time that the U.S. and British histories of the title diverge, with the American Revolutionary War. A sergeant major is an appointment, not a rank. It is normally held by the senior warrant officer of an army or marine unit. These appointments are made at several levels, for example: the senior warrant officer of a company, battery or squadron; the senior warrant officer of a battalion or regiment. The title normally consists of the unit title (e.g. 'company') followed by 'sergeant major', and abbreviated by the initials (e.g. CSM). A sergeant major of a regiment or battalion is known as a regimental sergeant major, rather than a "regiment sergeant major" or "battalion sergeant major". In the Australian Defence Force, in addition to CSMs and RSMs, the most senior warrant officer of the army carries the appointment (and special insignia) of Regimental Sergeant Major of the Army (RSM-A). The sergeant-major of a unit is normally directly responsible to the commanding officer for all matters pertaining to dress, deportment, discipline, conduct, performance, standards and morale of the non-commissioned members (NCMs) of that unit. Sergeant majors are normally addressed as "sir" or "ma'am" by subordinates, and by Mr or Ms (surname) by superiors, with the term 'RSM'/'CSM'/etc reserved for the sergeant major's commanding officer. In the British Armed Forces, the plural is sergeant majors and not sergeants major as it is in the United States. The appointment of sergeant major is given to the senior non-commissioned member within sub-units, units and some formations of the Canadian Army. The regimental sergeant-major is the senior sergeant major in a battalion-sized unit, including infantry battalions and artillery, armoured, engineer, and signal regiments. This appointment is normally held by a chief warrant officer. The same position can also be held by a master warrant officer in anticipation of promotion, or a shortage of available chief warrant officers. In company-sized units, the company sergeant-major generally holds the rank of master warrant officer, although in some cases, it may be held by a warrant officer if the company is smaller, or in a shortage of available master warrant officers. In artillery batteries, this appointment is known as battery sergeant-major, while in units with a cavalry heritage (armoured, combat engineer, and signals squadrons), the term is squadron sergeant-major. In company-sized sub-units of battalions or regiments, the company sergeant-major (or equivalent) normally answers both to his or her officer commanding for matters pertaining to the company in particular, and to the regimental sergeant-major on matters of concern to the regimental sergeant-major. Company sergeant-majors and their equivalents are normally addressed as "Sergeant-Major" or by rank. By subordinates, they are referred to as "Sir", "Ma'am", or "Warrant" (for warrant officers) as appropriate. "CSM" ("BSM", "SSM") is a title normally reserved for use by the commanding officer. Regimental sergeant-majors are never addressed as "Sergeant-Major". They are addressed by rank or as "Mr (Surname)" or "Ms (Surname)", and thereafter by subordinates as "Sir" or "Ma'am". "RSM" is reserved for use by the commanding officer. In some unusual cases, a chief petty officer 1st class or chief petty officer 2nd class in the Royal Canadian Navy may succeed to a sergeant-major's position, especially in units with a large number of "purple trades", such as service battalions. 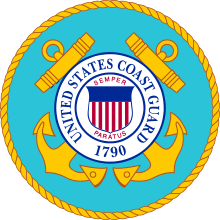 The forms of address generally remain the same, except that chief petty officers 1st and 2nd class are never addressed as "Sir" or "Ma'am", but as "Chief". The opera Leo, the Royal Cadet (1889) by Oscar Ferdinand Telgmann and George Frederick Cameron includes a character "Battalion Sergeant Major at the Royal Military College of Canada" and song "The Royal Cadet - The Battalion Sergeant Major". The senior cadet of the Royal Military College of Canada was a battalion sergeant major from 1878–1923 and from 1934–42. Since 1952, however, the senior cadet is known as a cadet wing-commander. Sergeant major is a rank in the Royal Canadian Mounted Police. While technically it is the 6th level of rank, below corps sergeant major and above staff sergeant major, it, along with the other two, are specialized ranks and not part of the normal progression, which would proceed from staff sergeant to inspector. A sergeant major appointment exists in each military unit from company to division/formation. Their main job is to assist the commander in the discipline and welfare of the enlisted men. Their authority and responsibility at parades and ceremonies extends over even commissioned officers while on the parade square. In the Singapore Armed Forces, two kinds of sergeant major exist, a regimental sergeant major and a company sergeant major. A regimental sergeant major may be placed in charge of a battalion, brigade, division or service level. A regimental sergeant major could also be appointed as RSM for a vocation, i.e. infantry vocation/formation sergeant major. This appointment is usually held by a senior warrant officer or a master warrant officer, although at times a 1st warrant officer may be appointed. A company sergeant major may be a 1WO, 2WO and 3WO. 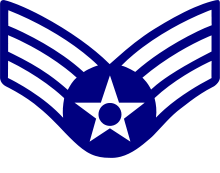 Sometimes, a master sergeant or a staff sergeant may be appointed. Military Experts of rank ME 3 could also be sergeant majors, in-charge of logistical units or naval units. This practice is also mirrored in the National Cadet Corps with the master sergeant or staff sergeant being appointed as unit sergeant major. Also, some schools with more than one unit, i.e. having a land as well as a sea unit, might appointed an RSM from either unit. In Sri Lanka, the rank of sergeant major exists in the Sri Lanka Army and Sri Lanka Police Service. In the army, a warrant officer 2nd class is known as a sergeant major; while a warrant officer 1st class is a regimental sergeant major. In the police, the most senior non-gazetted officer rank is police sergeant major. 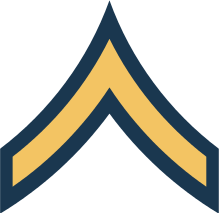 As described above, sergeant-major is not a rank, but an appointment held by a warrant officer class 1 or warrant officer class 2. Regardless of the appointment, the warrant officer is addressed as “sergeant-major”. The rank was established in the Union Defence Forces in 1913, in a single class. The rank badge was a crown, senior appointments being indicated by a wreath around the badge. The rank was divided into two classes in 1921. The national coat of arms was assigned as the badge of the 1st class, and the crown was assigned to the 2nd class. In both classes, senior appointments were indicated by a wreath around the badge. From 1957 to 2002, all warrant officers 1st class wore the wreathed coat of arms, and the warrant officer 2nd class wore the plain coat of arms. Since 2002, all warrant officers have worn the new national coat of arms, the classes and appointments being indicated by the shape of the surrounding frame, and the addition of stars and crossed swords above the arms. Up until 1 June 2008, the highest appointment (level 1), that was held by a warrant officer class 1 was the Sergeant-Major of the South African National Defence Force. The South African Air Force had a similar structure for its warrant officers who are also addressed as "sergeant-major". A company/squadron/battery sergeant major should ordinarily be a WO2. In the British Army and Royal Marines, company/battery/squadron sergeant major is an appointment for a WO2 and regimental sergeant major is a WO1 appointment. Due to differences in nomenclature between Regiments and Corps sergeant majors' titles do vary; Squadron sergeant major and battery sergeant major for instance would be found in the cavalry and Royal Artillery respectively, and in the REME there are the appointments of artificer sergeant major. Sergeant major instructor is an appointment held by warrant officers class 1 in the Small Arms School Corps and the Army Physical Training Corps and by some WO1s in the Royal Engineers. It is also an appointment held by some of the civilian adult instructors in the Army Cadet Force. A machinist sergeant-major is a specialist most often found in the Corps of Royal Engineers or the Royal Army Service Corps, and was the title of one of the major characters in the book and the film based on it, Ice Cold in Alex. For the use of "sergeant major" as a form of address, see the articles on regimental and company sergeant majors, and that on staff sergeants. The posts of regimental and squadron corporal major are the Household Cavalry's equivalent of sergeant majors, as the Household Cavalry traditionally does not have ranks named sergeant. The Rifles use the spelling "serjeant major". There is a new 'Army Sergeant Major' of the British Army due to the reforms of the British Army. The first British use of the term was around 1680 and was applied to the senior sergeant in the colonel's company of an infantry regiment, but it wasn't formalised until 1797, when the sergeant major was added to the battalion or regimental staff. When chevrons were introduced as badges of rank, he wore four, later under a crown. In 1881, the cavalry RSM and infantry sergeant major were among a number of senior non-commissioned positions that were confirmed with warrants, making them warrant officers. This was extended and rationalised in 1915, with the introduction of the new ranks of warrant officer class I (WOI) and warrant officer class II (WOII). RSM became an appointment of the former, CSM and SSM of the latter. The Royal Marines continued to use a single rank of sergeant major, equating to warrant officer class I, until after the Second World War, when they adopted the Army system. The Royal Flying Corps and its successor the Royal Air Force used the ranks of sergeant-major class I and II instead of warrant officer class I and II until the 1930s, when the RAF adopted the Army-style ranks. The RAF has not used sergeant major as either a rank or an appointment since that time. In the Indonesian Armed Forces, the rank is known as sersan mayor and is the most senior sergeant rank. The רב-סמל מתקדם (Rav samal mitkadem, "sergeant major") and the רב-סמל בכיר ( Rav samal bakhír, "command sergeant major") are both non-commissioned officers (נגדים) ranks in the Israel Defense Forces (IDF). Because the IDF is an integrated force, they have a unique rank structure. IDF ranks are the same in all services (army, navy, air force, etc.). The ranks are derived from those of the paramilitary Haganah developed in the British Mandate of Palestine period to protect the Yishuv. This origin is reflected in the slightly-compacted IDF rank structure. The first official U.S. use of the term was in 1776, when a sergeant major was appointed to the headquarters of each infantry battalion of the Continental Army. The rank was in use by both the Union Army and the Confederate Army during the American Civil War. At that time, it was the highest enlisted rank, being just above quartermaster sergeant. The same rank insignia was used by both armies. Both armies varied the color of the stripes by assigning red for artillery, yellow for cavalry, and blue for infantry. Some Confederate militia units varied these colors even farther and had other colors, including black stripes, for various units. In 1920, with the standardization of the army's enlisted pay grades, it ceased to be a title of rank or grade. However, it survived as the job title of the senior NCO of a battalion and was re-introduced as a rank in 1958 when Congress authorized the E–8 and E–9 pay grades (P.L. 85-422, 72 Stat. 122). 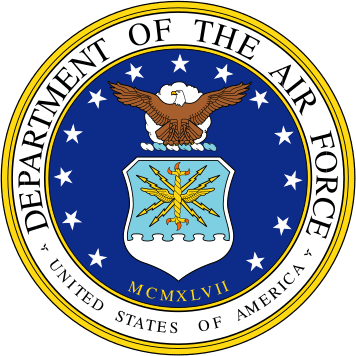 In that law (as amended), the authorized daily average number of enlisted members on active duty in an armed force in pay grade E–9 in a fiscal year may not be more than 1.25 percent, respectively, of the number of enlisted members of that armed force, subject to certain exceptions. 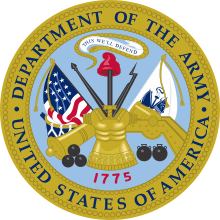 The appointment of Sergeant Major of the Army was created on July 4, 1966. 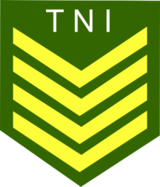 Command sergeants major got separate insignia in 1968. The U.S. Marine Corps' first sergeant major was Archibald Sommers, appointed on January 1, 1801. This was originally a solitary post, similar to the modern Sergeant Major of the Marine Corps, but by 1899 there were five sergeants major. The title was abolished in 1946, but re-introduced as a rank in 1954. The post of Sergeant Major of the Marine Corps was established in 1957, as the senior enlisted advisor to the Commandant of the Marine Corps. In the U.S. Army, sergeant major (SGM) refers to both a military rank and a personnel slot, or position title. It is the highest enlisted rank, just above first sergeant and master sergeant, with a pay grade of E–9, NATO rank OR–9. The leadership variation—command sergeant major (CSM)—is the senior enlisted advisor to the commanding officer. The leadership position carries with it certain ceremonial functions such as caring for the unit's colors (flag). Additionally, CSMs serve as monitors of, and advocates for, the enlisted soldiers in the command. This position mostly exists in units of battalion size and larger. Because the CSM represents all of the enlisted soldiers in the command, CSMs assigned to units above brigade do not wear the collar insignia of his or her career specialty (e.g., infantry, quartermaster, intelligence, inter alia), but instead wears the CSM (formerly "branch immaterial") collar insignia. 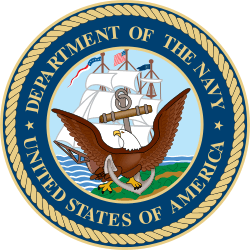 The insignia is a gold-color rendering of the coat of arms of the United States; like the branch of service insignia of all U.S. Army enlisted soldiers, it is placed upon a gold-colored metal disk, one inch in diameter. Both the SGM and CSM are referred to, and addressed as, "Sergeant Major". The Sergeant Major of the Army is a separate and unique position, but is still addressed as "Sergeant Major". 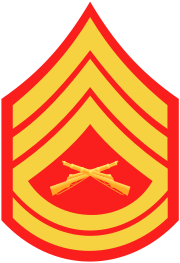 In the United States Marine Corps, sergeant major is the ninth and highest enlisted rank, just above first sergeant, and equal in grade to master gunnery sergeant, although the two have different responsibilities. Sergeant major is both a rank and a military billet. Marine Corps sergeants major serve as the senior enlisted marine in the Corps' units of battalion, squadron or higher echelon, as the unit commander's senior enlisted advisor and to handle matters of discipline and morale among the enlisted marines. 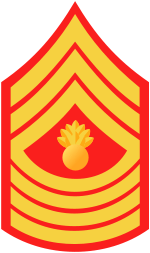 Sergeant Major of the Marine Corps is a separate and unique position. Sergeants Major of the Army. ISBN 0-16-067866-8, CMH Pub. 70-63-1. By CSM Daniel K. Elder, et al. Describes the origin and growth of the Office of the Sergeant Major of the Army. Includes biographies of each of the Sergeants Major of the Army. ↑ The London Gazette: (Supplement) no. 48587. p. 5671. 16 April 1981. ↑ The London Gazette: no. 25044. p. 6467. 2 December 1881. ↑ The earliest usage of "sergeant majors" in The Times is in 1822. The last of the (very occasional) usages of "sergeants major", except when referring to American NCOs, is in 1938. ↑ Richard Preston "Canada's R.M.C. A History of the Royal Military College"
↑ "10 U.S.C. § 517". law.cornell.edu. Retrieved 2013-07-05. 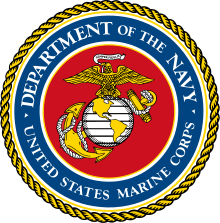 ↑ "Sergeants Major of the Marine Corps". Marine Corps Legacy Museum. Retrieved 2006-11-12.